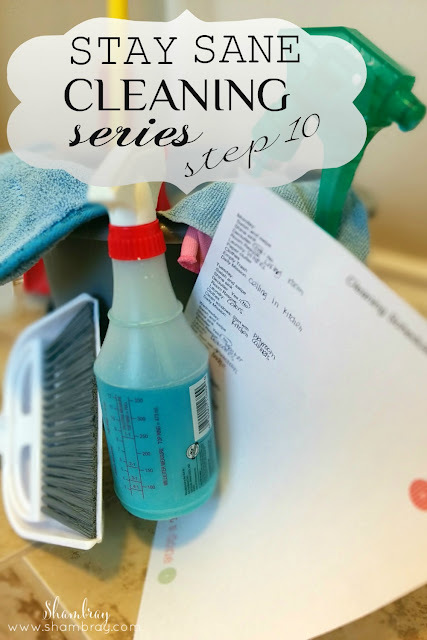 Who's ready for the next step of the cleaning series?! This is a step that many, many people look over. It usually only gets done when the windows are so far past gross. I can promise you this, if you give your windows some TLC each week then you will be happy. This step requires a timer. If you don't set the timer then you will be hating life by the end of this step. It's all in the baby steps. I am not about breaking my back to get something done. As long as I see progression then I am happy. It is the best piece of advice I can give to anyone. For this step I set the timer for 10 minutes. That is it! Really you can get a lot of windows cleaned in 10 minutes. I do this weekly every Tuesday. Once the timer goes off then I finish the window that I am currently cleaning and make note of where I left off. That way I can start someplace new each week. I have got it down to where I wash each window in our house once a month. Currently I use Norwex items to clean the windows. I use a wet EnviroCloth to wet the windows down. Then I dry the window with the Window Cloth. I love using these Norwex items for numerous reasons, but the main reasons are that they clean the windows so nicely and do not leave streaks AND because I only have to use water. That is so nice because I don't have the smell of chemicals in my house and it saves me money over the long run. 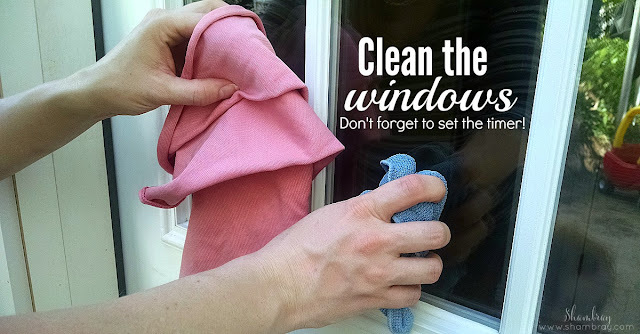 Do you make your own homemade window cleaning solutions? I've done mine mostly with warm water, vinegar (or ammonia), some dish washing detergent. And I use squeegees and scrubbers. Its the most efficient way when you've got a bunch of windows to clean. I have used a similar solution! If I am in cleaning the inside of the windows I use the Norwex clothes that are in the picture. Make a cleaning house plan. Sketch it out on a piece of paper. Now walk each room with a notebook and a pen and a camera to take pictures. In each room take lots of pictures. Then write down all the chores that have to be done to get that room just the way you want it - clean and organized. An integral part in owning a pressure washer is proper maintenance and care. It also means inspecting your pressure washer routinely to ensure it's working properly. Here are some tips on what to watch out for when examining your pressure washer for problems.